On February 23rd, Heinz History Center and Wigle Whiskey are debuting a collaboration decades in the making. Prohibition Rye will be released in limited supply in collaboration with American Spirits: The rise and fall of prohibition at Heinz History Center. Prohibition Rye is a single barrel rye with citrus and honey notes and bottled at 84 proof. 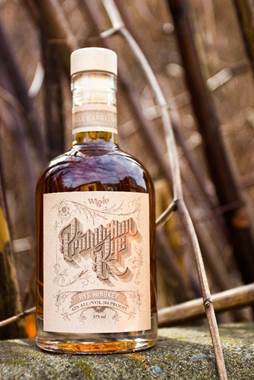 Wigle has only produced 250 bottles of this limited edition rye. They will begin sales at the distillery in the Strip District on February 23rd and a portion of the proceeds will go to Heinz History Center. In conjunction with he release of Prohibition Rye, Wigle Whiskey and Heinz History Center is hosting a Cozy Bar Crawl in the Omni William Penn that will include the hotels speakeasy, the Tap Room and Palm Court. Tickets for sale on Wigle website include drinks, snacks and admission to the Heinz History Center and $5 off a bottle of Prohibition Rye that evening. Step back in time during a night out on the town with Wigle and Heinz History Center.